9 inches high 9 1/2 inches wides. Each strap is apprx. 16 1/2 inches long. 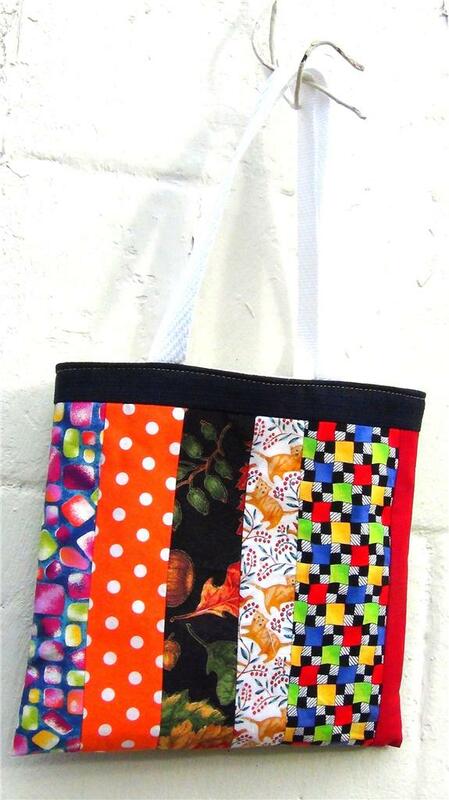 Either sides are perfect for the front of the tote, actually. 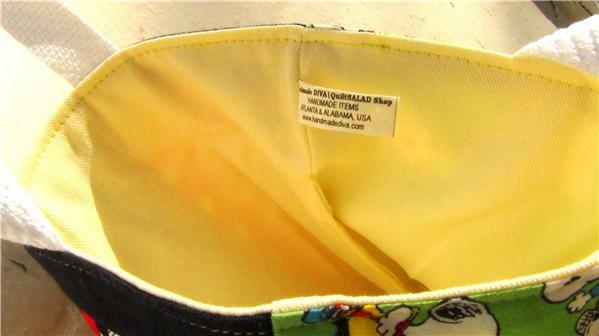 There's light-yellow lining on the inside; and interfacing between the outer and inner sides.